Smartphones are now thoroughly entrenched in personal communications and in nearly every industry, so how have antiquated pagers managed to hang on so stubbornly in healthcare? In this episode of Mastering Innovation on Sirius XM Channel 132, Business Radio Powered by The Wharton School, guest Trey Lauderdale, CEO and Founder of healthcare communication platform Voalte, shared how clinical communications are finally catching up. Legacy pagers are so ingrained in hospitals that related technological advancements and opportunities within healthcare have been hampered. Because healthcare is so high-stake, however, the introduction of new devices must work concurrently with existing workflows in the industry in order to facilitate a smooth transition. Lauderdale explained how a successful switch means physicians can retain the functions of their old pagers but gain more context, data analysis, and flexibility, increasing efficiency and profitability for healthcare providers at large. Trey Lauderdale: I remember 10 years ago when we first started the company, I’d go out and talk to hospitals, nurses, and doctors. I’d say, “The future is on iPhone.” Even then, there was an Android, and usually, people were a little bit muted in their response. However, what ended up happening is over time, people just realized there was a lot of enterprise capability with the iPhone. The iPhone became more mature. Lo and behold, I go talk to people today, and we still have pagers, believe it or not, the Blackberry has gone away, and smartphones are definitely the path to the future. Nicolaj Siggelkow: Why is that? Why do we still have pagers? Lauderdale: Well, it’s quite complicated. Even some of our largest customers are still working on their overall pager replacement strategy. What’s happened is over time is these pagers and devices have become so embedded in communication. It’s complicated with the system or the source that’s sending that notification to the pager. What ends up happening is [the legacy devices] just stay there. There is not a catalyst to change. Over time, they’ve just calcified in their workflow around these pager-like devices. What we found is, instead of going “big bang” and replacing all the pagers at once, a more systematic way of evaluating and segmenting different pagers into different product categories then removing them piece-by-piece seemed to be the better strategy. Siggelkow: Can you walk us through someone needing to send a message within a hospital? How does this currently work? Lauderdale: There’s a couple of ways. We go in, and we provide an on-premise solution that integrates to all these different hospital systems whether it’s the nurse call, the monitors, the electronic medical record, etc. Then, we have a series of notifications and alerts that can be routed through our backend server and then dispatched to the appropriate smartphone. We also enable person-to-person messaging, which is more of your HIPAA-compliant secure messaging. That’s all a presence-based directory. Our directory is a very dynamic, patient-centric directory that enables caregivers and clinicians to easily see who are the care team members they need to communicate with. They could go ahead and establish certain forms of communication. Then, we can have context with that communication as well. They can easily link to the EMR or the physiological monitoring device of that specific patient. It’s very similar to the theme that we talked about earlier, the consumerization coming into healthcare and in enterprise format. If I were to send you a message on your iPhone or Android device and put a link to a restaurant, it’s very easy for you to receive that information: tap on the link, view additional information, and make decisions based off of that. What we’re seeing is that same exact type of transformation, where instead of a pager, there is now a smartphone that I can send a message to. I could put context in there, and you could tap on a button, and then view the patient’s record or more information. Again, a lot of these themes that nurses and doctors are using in their personal life are finding a way in the enterprise in a very secure format. Siggelkow: As you said, securing your context is obviously really important. Maybe you can say a few words about HIPAA because all our listeners might not know what HIPAA actually is. Lauderdale: Absolutely. In healthcare, patient information is very important to keep private, so there’s a lot of regulation. HIPAA’s the most well-known that requires any type of information that’s transmitted to be secure in-transit and secure on the device. There’s a whole series of technical features and user features we’ve had to add in our application, such as enforcing a PIN lock when you enter the application or the device, or adding different software packages like mobile device management that require or can enable encryption on the iPhone or Android devices. Then, all of our backend servers need to follow the encryption process that the hospitals have set forth. There are a lot of guidelines in place. Encryption security is one of the great examples where smartphones have matured tremendously. Ten years ago, Blackberry was known throughout the industry as the most secure, reliable device. Over the last decade, both iPhone and Android have made tremendous leaps and bounds in enabling customized security that more than exceeds the requirements of healthcare organizations. Siggelkow: With pagers, I would think the bandwidth is very, very limited, so clearly, that opened up when you used smartphones. What else can you do with smartphones in the communication arena that you are unable to do right now with pagers? Lauderdale: One of the secondary benefits, besides seeing more context, is having a user-friendly format where you can establish bi-directional communication: receiving those alerts and notifications, and analyzing all the data behind the scenes. As we talk about innovation and what’s coming forward, there’s a tremendous opportunity to look at going deeper on the data analysis of how communication is occurring in healthcare systems and drawing insights and information from that data to drive next-generation types of workflow and communication. I’d say the pager is very much a “shoot and forget.” You fire a pager and you hope someone received it, whereas with clinical communication and a more holistic smartphone communication strategy, there’s more information that could be sent. There is context that could be sent. There’s the ability to interact with that context. There’s data analytics on that information. Also, obviously, there is a series of applications that could be loaded on the device. When the iPhone first came out, Steve Jobs did a presentation of how it’s an iPod, a WebViewer, and a phone. It was three applications on the device. Now, I think the world has transitioned to the understanding that this is a handheld computer that individuals can use for those three core applications, but also everything else that comes afterwards. Healthcare is in a very similar state where Voalte and a clinical communication strategy is the first implementation. It’s the reason to put or replace legacy pagers with smartphones as you center on communication first, but that then opens up an overall mobility strategy that we see put in place that enables multiple applications and just as importantly, the management of those applications. Trey Lauderdale began his career in the Transmissions and Distribution Business Unit at Florida Power & Light, where he led a team to create a new statistical method for tracking power outages and their correlation with weather patterns in the state of Florida. In 2005, Lauderdale joined the Sales Leadership and Development Program at Siemens, where he rotated through the inside sales support, product marketing and distribution management teams. At Siemens, Lauderdale was involved in numerous business development projects and helped create a new premier channel program for industrial automation distributors. Lauderdale joined Emergin in 2007 as Florida Area Sales Manager. He made an immediate impact, and was promoted within six months to Southeast Regional Sales Manager. 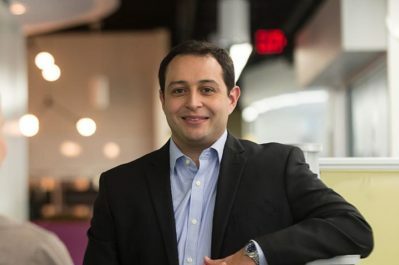 He was one of the company’s top business development employees and the top revenue producer in the first and second quarters of 2008, before he left Emergin to form Voalte. Lauderdale graduated from the University of Florida with a Bachelor’s degree in Industrial Engineering and Minors in Engineering Sales and Electrical Engineering. He earned his Master’s degree in Entrepreneurship from the University of Florida Warrington College of Business, where he, along with Oscar Callejas, won the top prize in the school’s Business Plan Competition.